This All-Inclusive seafront hotel is ideally situated on the seafront at the start of the famous Varadero beach and right by the centre of the town with the same name. The Caribbean blue water and long white sandy beaches that have made Varadero world famous are literally only a stone’s throw from the hotel. The hotel is open all year round for you to enjoy the tropical climate and marvellous sights of this beautiful island that is known for its friendly inhabitants. The hotel is ideal for couples and families and offers excellent value for money. 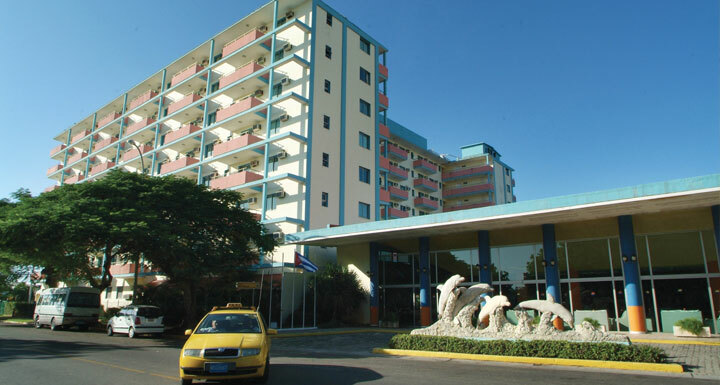 This is an ideal location to relax and enjoy that very special lifestyle of dancing, tropical beaches, history and intriguing culture, which have made Varadero and Cuba a top tourist resort. At BelleVue Sunbeach you have 272 comfortable and spacious rooms to your disposal, each one equipped as indicated below. The BelleVue Sunbeach hotel spoils you culinar at 7 bars and restaurants. Feel like a king and enjoy International, Italian and Carribean meals! International Buffet Restaurant "El Nautilus"
All inclusive - what includes?